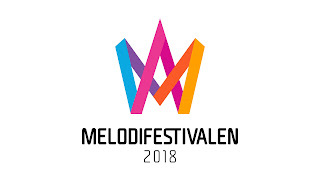 Melodifestivalen 2018 has long since released the cities for each of the six shows but still has yet to announce the competing acts. Thus the next step in the wave of announcements is the hosts. SVT has now announced that a press conference will be taking place on Thursday, November 2, from 11.00-12.30 at which the host(s) will be revealed to the media and public. 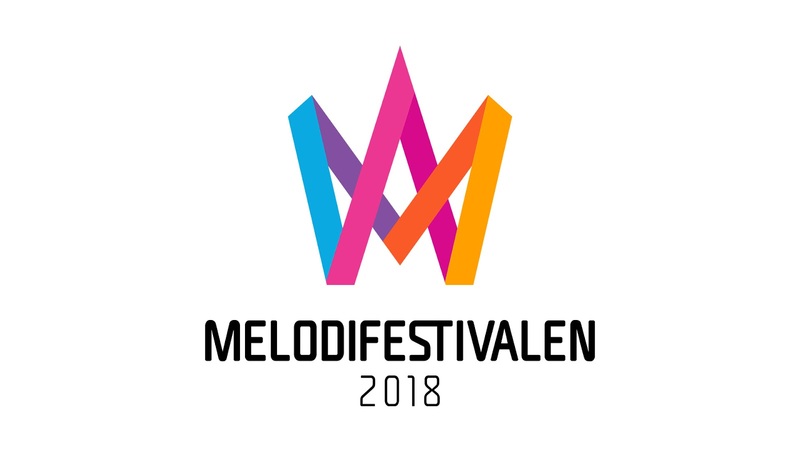 Who are you hoping to see host Melodifestivalen 2018? Four years ago Turner is having a picnic in Central Park with his wife and daughter when a nearby mutant rights march begins to escalate in tension and violence. 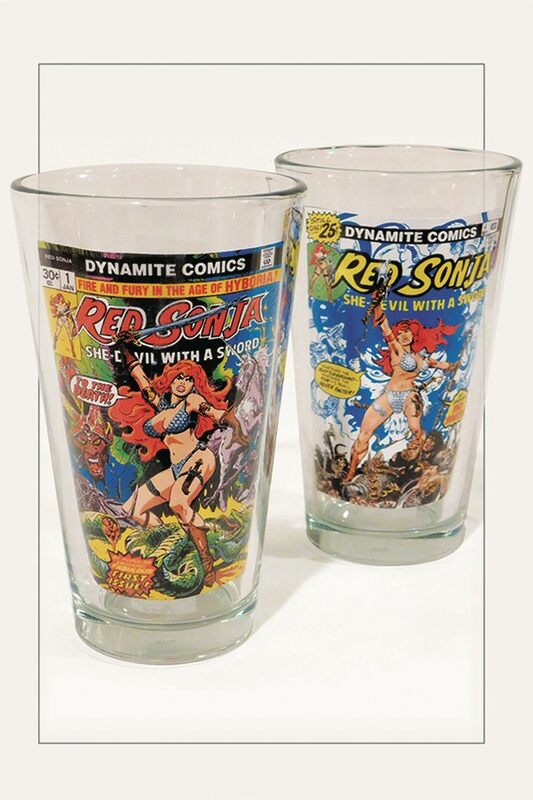 One mutant's powers cause a blast that kills Turner's daughter Grace. In the present, Turner is issuing orders to try to recapture Reed, Lorna, and the mutants that helped to facilitate the escape. John tells the mutants about how Pulse was present and helping to disrupt the powers. John senses a Sentinel drone coming their way. Marcos and Lorna agree to team up to try to take the drone down while the others continue to get back to the Underground. Diaz and Lorna team up to use their powers to destroy the drone. John and the Struckers arrive at the Underground where Reed is finally reunited with his children. John learns that after this latest confrontation, Sentinel Services invaded every location even slightly suspected of housing or sympathizing with mutants. When Fade sees Reed, he exposes Reed's recent betrayal to all the other mutants, though John intervenes and keeps him from inflicting any further violence against him. The tension is put aside somewhat when Caitlin insists on tending to an injured Trader. One mutant asks Sonya to consider working on Reed's memories if they decide he can't be trusted with the location of Underground and she seemingly agrees to consider doing so. Clarice asks her about this, forcing Sonya to reveal that she has the ability to manipulate memories. 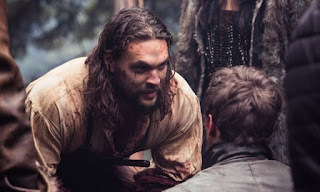 Reed offers his services to John and the others in charge at Underground to devise a strategy to fight back against the current manhunt Sentinel is working to find and capture them. Marcos and Lorna reaffirm their love for each other and agree that despite their concerns with the state of the world for mutants that they are excited to have a baby together and begin this chapter of their lives. They encounter a blockade but Lorna easily stops the bullets, knocks the agents out, and then capture Jace Turner. They bring him to a warehouse and Lorna says this is their chance to figure out what Sentinel did to Pulse and reminds Marcos that Sentinel had intended to change her loyalties too. Though Marcos has his moral qualms with torture, he realises this information is important to the larger fight. Reed offers himself up as bait in order to steer Sentinel Services away from the true location of Underground. Caitlin objects to him putting himself in danger when they only just got him back but he insists that it's necessary for their safety. Marcos and Luna call Clarice and Sonya to help extract the information from Jace's memories but they are running out of time since some law enforcement have just pulled up outside. John has Fade drive Reed to an agreed-upon location for him to be spotted by people and surveillance cameras. Fade is also assigned to pick up Reed and bring him back. The plan works, as law enforcement begin to redirect their agents to go to that location and away from where Underground truly is. Meanwhile, Caitlin successfully saves Trader's life with assistance from her children. Sonya works on extracting information from Jace's memories while Clarice watches closely with Marcos and Lorna. Lorna had shot some metal rods out of the building which forced the officers to stay back. But once they shot some tear gas into the building, the memory-extractions are interrupted. Sonya doesn't want to leave Jace in the middle of her memory-fog but the mutants are forced to flee as the officers raid the building. Once everyone is reunited at Underground, Sonya shares the information she has acquired. Together, they determine that there is a secret Sentinel facility at the federal building in Baton Rouge. 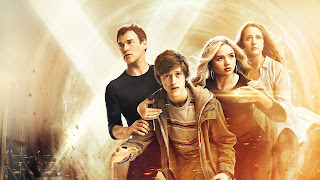 As Reed and the rest of the Struckers have proved their loyalty and worth to the Underground, the mutants now trust them and have no objections to their decision to stay behind and fight alongside them for the mutant cause instead of fleeing to a safer place as they had originally planned. Clarice confronts Sonya about whether she messed with her head and Sonya admits to doing so. Clarice is angry about this violation, despite Sonya's insistence that it was necessary. Clarice warns her to stay away and never mess with her head again. Jace Turner returns home where is revealed to now have memories of Grace surviving the attack, which horrifies his wife who has to tell him that she has been dead for years. Netflix continues to expand it's reach through offering it's streaming services to numerous countries, commissioning more original content, and offering global content to a more international audience. While foreign content has often struggled to expand it's viewership due to language barriers, Netflix is an ideal place to circulate things, as subtitles are always included for foreign content. 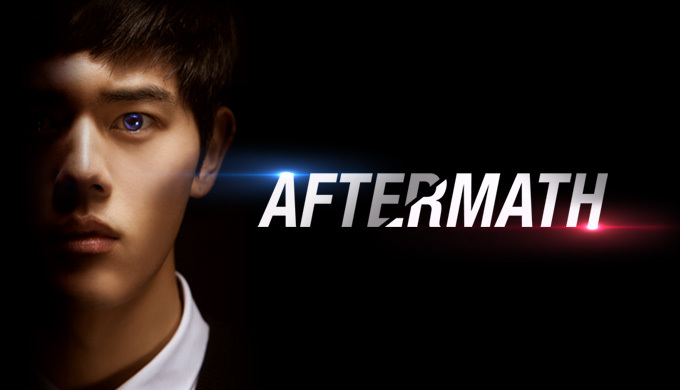 Korean drama, or "K-dramas" as they're known to some, have grown increasingly popular both in and out of Korean and Asian markets. Many shows and films from Asian markets have begun to pick up in Netflix's selection. 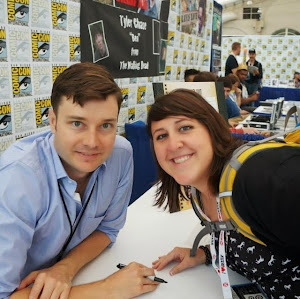 One such series is "Aftermath", a supernatural crime show with two quick seasons available on Netflix. Protagonist Dae-yong develops supernatural powers after a near-death experience that allow him to see when someone is about to die or commit murder. As a mere high-school student, such abilities naturally inject a large dose of chaos into his life. 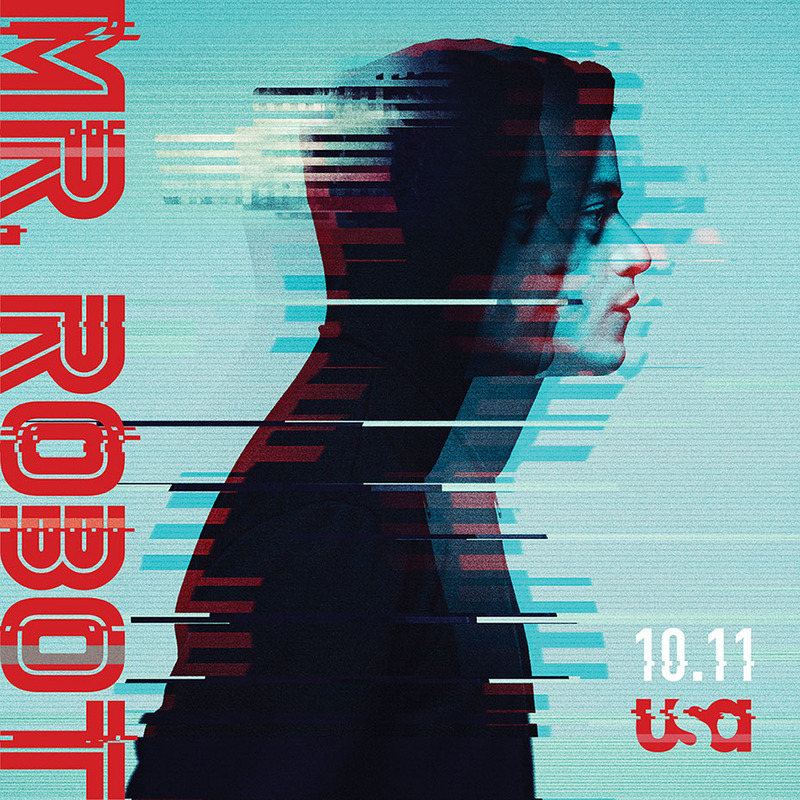 A highly unique attribute of the series for an audience that is largely accustomed to the formats of Hollywood content is that each episode is just under or occasionally over ten minutes in length. 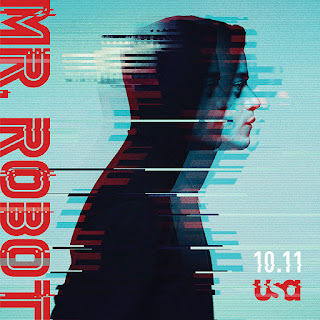 The shorter episode length doesn't only allow for quicker binging, as the entire series is under two hours in length, but means that there is absolutely no filler content. With only ten minutes to tell a story complete enough to work as an individual episode, the writing gets straight into the central plots of Dae-yong's story, be it stopping a person's death or his struggles to establish a romantic relationship with his high school crush. All the lead actors give strong performances. There is a flamboyant quality to the style of acting, which appears to be purposeful due to the genre of the show. The make-up work on the soon-to-be-dead and would-be-murderers looks a bit rushed, but there is a possibility that the show may have been created with a smaller budget and time constraints (though that's purely speculative on our part). All things considered, it's a fun ride to take for an hour and a half and those new to Korean content should be able to connect to the story without much cross-cultural confusion. Aftermath is available for streaming on Netflix. Ed re-introduces himself to Thompkins at the fight club and she is cold towards his approach considering the part he played in sending Jim away so he couldn't support her when she miscarried their child. Ed also introduces her to the newly resurrected Butch/Solomon, explaining about his lack of memory of his former life as well as his super-strength. A mystery-man wearing a pig's head as a mask has begun killing police officers that have been working for Oswald as collectors. Jim and Harvey begin investigating these crimes and determine that this killed is attempting to fight back against the city's corruption, albeit in a twisted way. Oswald continues to work to figure out his relationship with Sofia. He feels closer to her but still doesn't trust her. Sofia sets a lunch with him but doesn't show up so Oswald orders Victor Zsasz to follow her and find out what she's been up to. Thompkins patches up some of Grundy's injuries after he begins participating in the fight ring under Ed's plan to raise money to mend his mind. She tries to explain to Grundy that Ed doesn't really care about him but Grundy is unwavering in his belief that Ed is his best friend. Ed wants to hire Thompkins to be the one to fix his cognitive impairments but she refuses his offer. She is revealed to be operating a clinic with the money she makes working at the club. Zsasz reports back to Oswald that Sofia had lunch with the mayor and then went to a hotel that's long since been unused. She also met with a building inspector at this building to approve of constructing a defense wall. 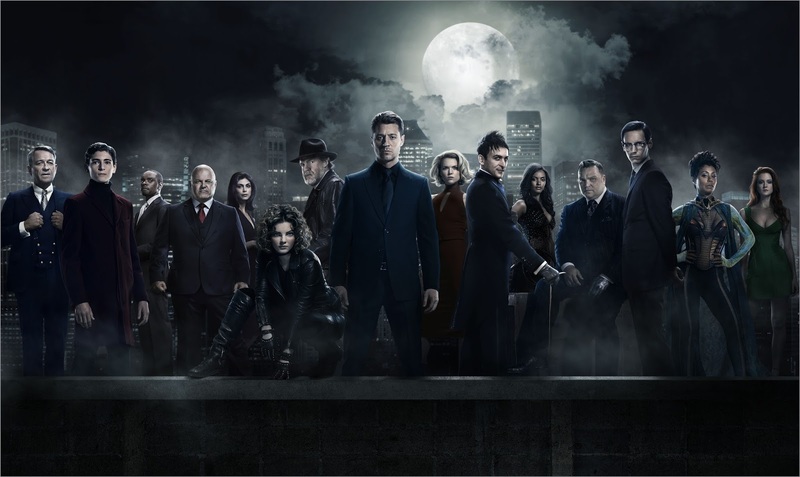 Oswald suspects that she is working to build up a fortress so she can start up her own criminal empire in Gotham and orders Zsasz to get a shovel so they can pay her a deadly visit. Jim and Harvey track down the next target of "Professor Pyg" but they accidentally set off a fail-safe that kills the officer. They end up captured and the pair are taunted. Jim escapes his restraints but not quickly enough to stop the killer from badly cutting Harvey's throat so Jim has to tend to Harvey instead of stopping Pyg from escaping. 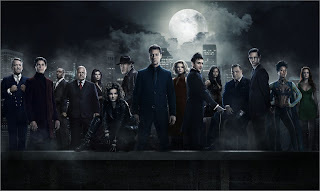 Oswald confronts Sofia about her plans and she reveals that she has purchased the building and turned it into an orphanage. Oswald returns to his positive regard of her, and she offers to make him some food. Jim tells Harvey in the hospital that he knows Harvey has been working for Oswald and taking payments from him and needs to stop. Thompkins agrees to help Ed attempt to regain his cognitive functions, though she says she can't promise any results, but accepts the offer due to her clinic running out of medical supplies. Finally, Professor Pyg is revealed to be working on larger, more insidious plans. 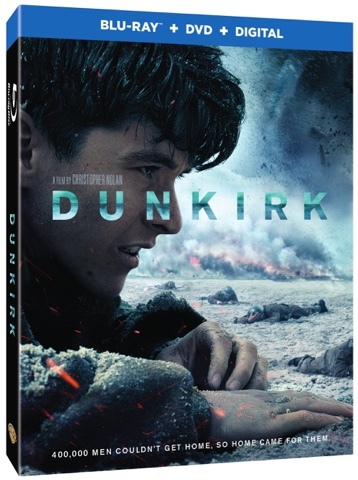 Own Dunkirk on 4K Ultra HD, and Blu-ray combo pack and DVD on December19, or Own It Early on Digital HD on December 12! 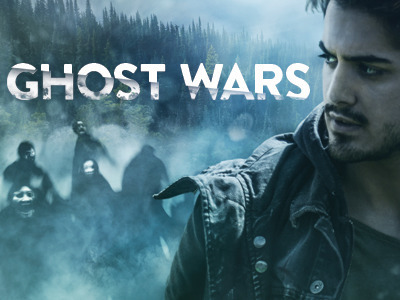 "Ghost Wars" is a fresh new series on the Syfy network that is centered around the lead character, Roman. He has inherited psychic abilities that allow him to see and communicate with ghostly spirits. These skills put him in the epicenter of strange happenings in the small town in which he resides when an earthquake causes a rift that traps spirits there and prevents them from passing on. 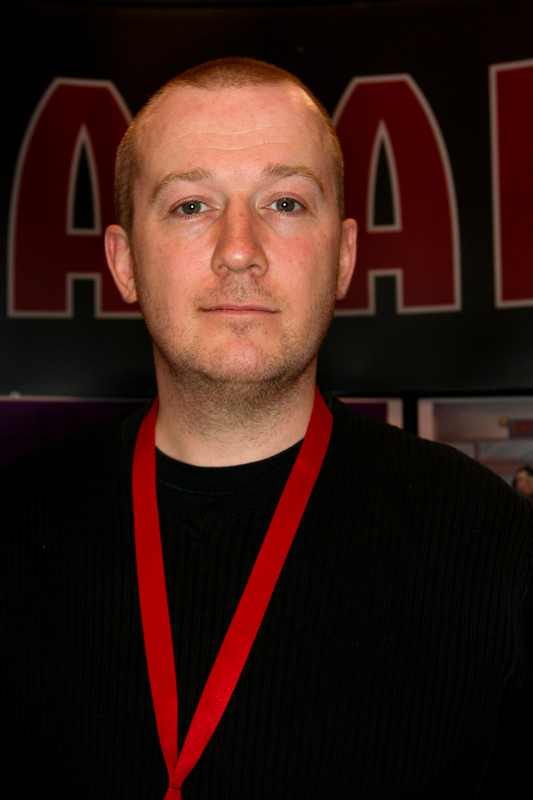 Creator Simon Barry spoke to us at San Diego Comic Con while the series was still shooting the first season and discussed the central theme of fear, his approach in developing the show, and his thoughts on the use of jump scares in the horror genre. The most memorable moment of speaking with producer Dennis Heaton was when he shared how he'd choose to have the show end, if the decisions were entirely up to him. His finale preferences were downright shocking! 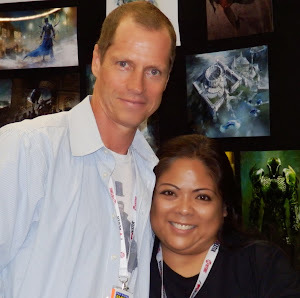 Producers Mike Frislev & Chad Oakes discussed the series conception, development, casting, Avan Jogia's protagonist role as Roman, and the creative process behind putting everything together. Vincent D'Onofrio portrays Reverend Dan, a priest that was suffering from a crisis of faith before the ghosts rose up in the town. But after they begin to terrorise the locals, he begins to have far more partitioners coming to hear him speak. Meat Loaf portrays Doug Rennie, an angry man that frequently treats Roman as a scapegoat for all the pain and upset he harbours from his negative life experiences. Both actors further introduced their characters and spoke about what drew them to the project. Series stars Avan Jogia and Kandyse McClure had banter to share about not only their respective characters but the approach of the show's creative team in utilising a great deal of practical effects to create the horror visuals. McClure portrays a research scientist at the LAMBDA Institute and despite having taken up residence in a small town, is only there in the hopes of furthering her career and not with an interest in living a small life. In a flashback, John is with another mutant called Gus ("Pulse") and they are preparing to break into a mutant facility to break some out. The mission goes wrong and John is forced to flee with some of the other mutants while Gus stays behind to try to shut down the facility's system with his mutant ability. He is shot and seemingly killed and the others are forced to escape without him. In the present day, the underground mutants are working with the Struckers to form a plan to rescue both Reed and Polaris, who are set to be transferred to a detention facility. The best chance at rescuing them is to get them while they're being transferred. Marcos needs to reach out to old contacts/colleagues in organised crime to get information on when the transfer is set to take place. John and Sonya are in disagreement about what her planting memories in Clarice's mind to form an attachment to John. John is insistent that Sonya tell her the truth but Sonya claims that the memory is more like a dream impression that will fade over time. She also is manipulative in claiming that telling her the truth will cause her to leave and then they won't be able to have her help in rescuing other mutants. Clarice has been having dreams of kissing John in an alley and become confused, as she doesn't believe it actually happened but the dream is recurring. Marcos meets an old flame, Carmen, whom he left to be with Polaris. She harbors a grudge for being dumped but is willing to provide the information on the transport if Marcos will use his abilities to torture a prisoner she has and requires information from. Marcos agrees, but is shaken by the experience. Reed and Polaris begin to learn more about one another. Reed opens up about how his children are mutants and have broken the law. Before this revelation, he didn't understand the circumstances and what it's truly like to be a mutant. He apologises to her for what he has done but she still lashes out for all the pain he has caused and refuses to be the one to offer his forgiveness. Lauren and Andy must train their abilities so they can help attack the convoy to stop it long enough to be able to get Reed and Polaris back. Caitlin objects to putting her children at risk but both are determined to take the necessary risks to fight a battle that is bigger than just them. John assures her that they are only needed to stop the bus and after that, they can get out of the fight that the other more experienced mutants will fight. The mutants are able to work together to stop the bus but things go wrong when one mutant with an invisibility power is revealed and shot. Other mutants are shown to be struggling to use their powers and John figures out that Gus ("Pulse") is still alive and working with Sentinel for some unknown reason. He can disrupt their abilities in addition to being able to disrupt technical systems. John tells Clarice how they were best friends and he had thought Gus died in the attack on a detention centre. John is forced to confront Gus in order to stop him from disrupting everyone's power. The tides shift in the mutant's favour when Reed tells Polaris to taketh metal screws in his leg and she is seemingly touched by the gesture. She uses them to free Reed and herself rom their restraints and take out the guard in the armored truck with them. With Gus no longer disrupting everyone's abilities, the mutants are able to begin their escape, with Clarice first opening a portal for Sonya to get away with the injured mutant. Marcos is refusing to leave without Polaris, much to John's objection, but it's then that Polaris breaks out of the truck with Reed limping behind. The Sentinel agents retreat and Caitlin drives up with a getaway car. After a teary reunion with Reed, she drives everyone off. Melissa Joan Hart and her mother Paula Hart paid a visit to New York Comic Con to promote their upcoming Lifetime film "The Watcher In The Woods" which is adapted from a 1976 novel and was also adapted to film by Disney in 1980. 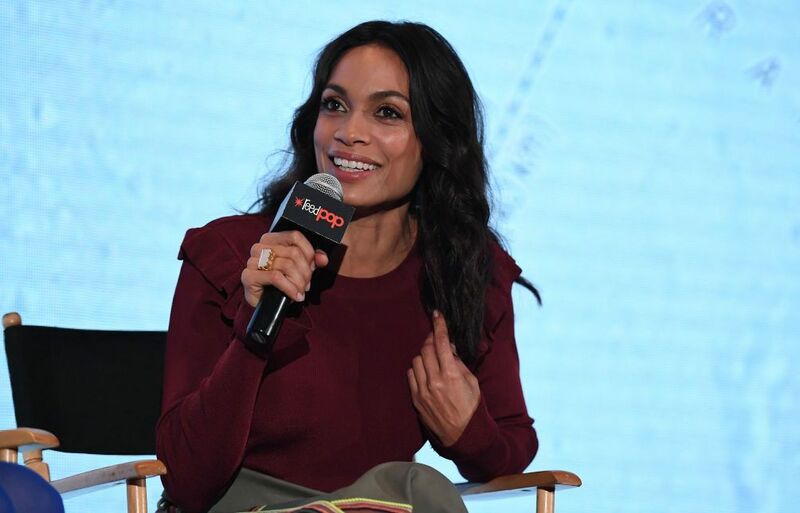 While the original film adaptation borrowed much of the more abstract, science fiction components of the novel, Melissa and Paula promise that this latest film adaptation for Lifetime will be a traditional ghost story. Though Melissa and Paula have worked together to produce the project, Melissa took on the additional responsibility of directing. Much of the production staff was also women, something they are enormously proud to have done so as to better the opportunities for women in the industry. Anjelica Huston is also prominently featured in the project and has had nothing but kind words about Melissa as a director throughout her time promoting the project. 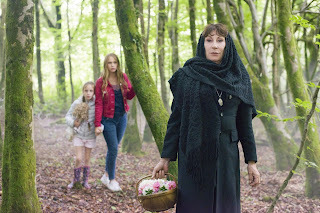 The Watcher In The Woods will air on Lifetime on Saturday, October 21.